Barber, a shaving salon in Amsterdam, is running a series of stylish and amusing advertisements in washrooms across Amsterdam. 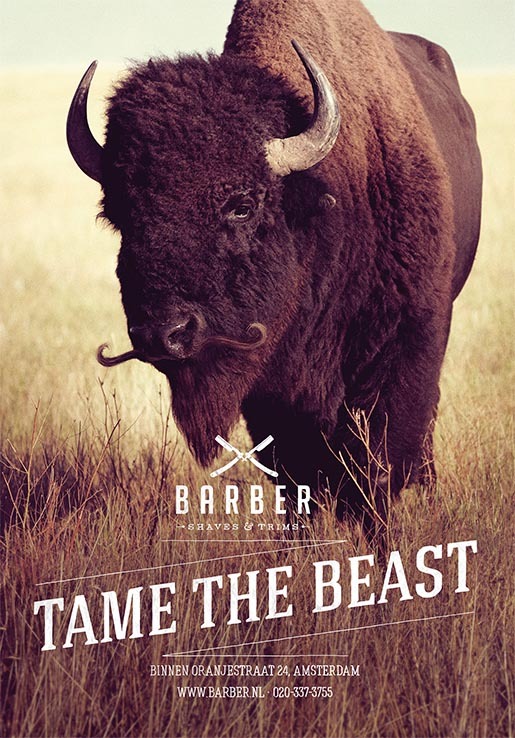 The four posters depict one of the wildest beasts on earth, the bear, the hippo, the caribou and the buffalo, sporting elaborately refined facial hair, with the strap line ‘TAME THE BEAST’. Facial hair may be all the rage, but if it gets out of hand you can end up looking like a wild animal. 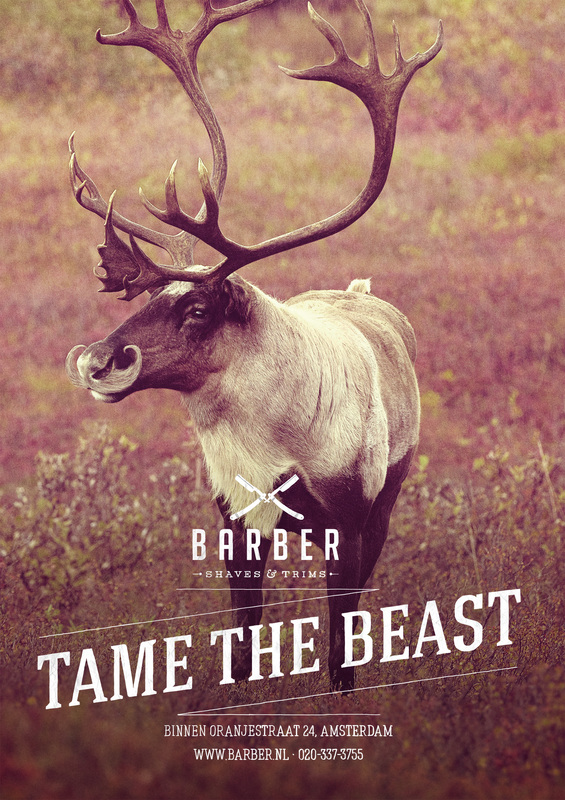 A trip to Barber keeps the wildness at bay with a premium shave experience. If they can tame the untameable, just imagine what they can do for a regular man. “This is a campaign that says male grooming isn’t just for Derek Zoolander, but for the ordinary man on the street. Its insight draws on the fact that inside every male, there is a hairy, unkempt, animal clawing to get out. 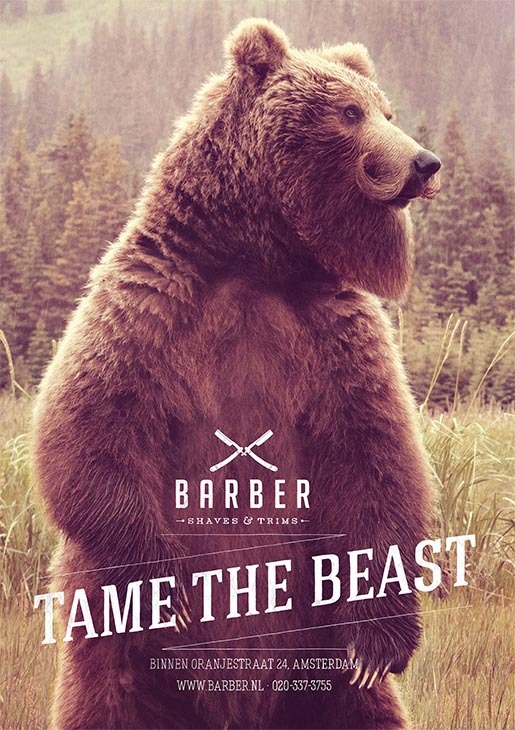 And that’s a beast that needs taming”. 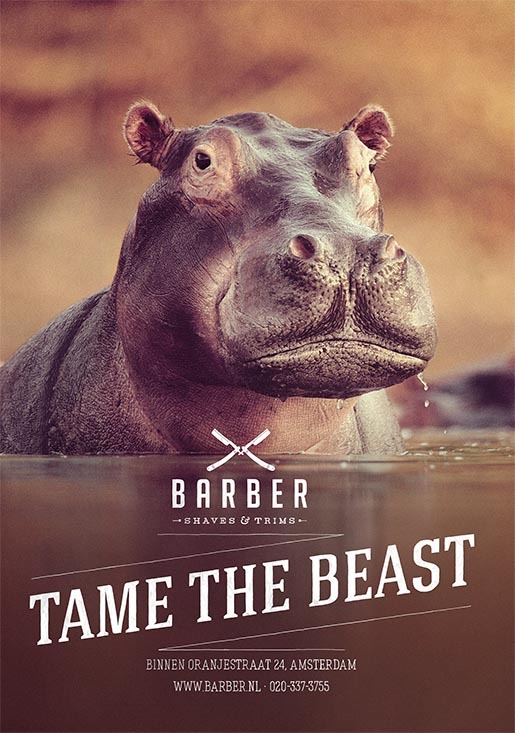 The Tame The Beast campaign was developed at 180 Amsterdam by executive creative director Al Moseley, creative director Galen Graham, art director Victor Monclus, copywriter Will Lowe, account directors Iona Ratcliffe and Stephen Corlett, producers Emma Pirie and Pamela Prior.